replacing MediaCom, to build the in-house offering and embed it within the brand. As part of the new set-up, CUB will also take its programmatic buying in-house. Speaking to AdNews, CMO Richard Oppy says the in-house agency will only "slightly" impact the scope of work carried out by its creative agency, Clemenger Melbourne, as well as PHD. He's confident Speakeasy studio will allow CUB to be quicker and more agile with its marketing communications. 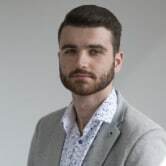 The company is currently in the process of recruiting, collaborating with PHD, to recruit talent across the social, content, data and technology remit. “We know our consumers are evolving, and the way they engage with brands and each other is changing. Speakeasy Studio will help us keep pace with our consumers and ensure the way our brands go to market evolves too”, CUB marketing director Chris Maxwell says. “We’re excited that our new in-house team will take CUB digital to the next level, with more innovative, engaging and targeted communications. Our new Speakeasy Studio team will work on some of Australia’s most iconic brands. We’re combining the scale of Australia’s leading brewer with all the speed, agility and excitement of an agency." 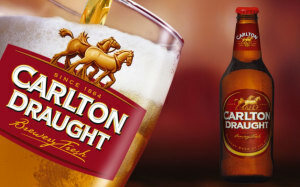 Carlton & United Breweries (CUB) has launched an in-house digital agency, Speakeasy Studio. CUB partnered with PHD, which it appointed in October last year, replacing MediaCom, to build the in-house offering and embed it within the brand.